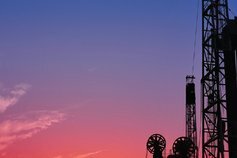 KPMG assists organizations in the Oil & Gas sector to respond to industry trends and business issues. 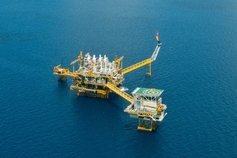 KPMG assists organizations in the Oil & Gas sector to respond to industry trends and..
A transforming LNG market is marked by globalization, changing pricing models, and major demand uncertainties. Prices have fallen sharply and the market appears likely to be over-supplied for some years. The Oil & Gas industry’s competitive landscape is changing fast. Oil and gas in the US is driving the supply base of the industry. Meanwhile, the demand base of the industry continues the shift to emerging markets, although at volatile growth rates which means the most attractive markets are changing from one year to the next. With the global and regional demand remaining weak and ongoing structural challenges in Europe (including environmental requirements), running an Oil & Gas company in today’s world is extremely challenging. who can help you address critical issues, whenever and wherever they arise. KPMG already works with some of Albania’s leading oil and gas companies and our experts have extensive knowledge and long experience in the industry. In addition, we have access to KPMG’s worldwide network of industry specialists. Current low oil price environment may lead to new partnerships. 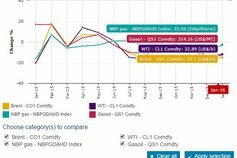 This tool allows comparison of oil & gas price data to see market correlation trends. Managing Director in the Tax department of KPMG in Albania.